Helen M. Swartz, age 95, of Nevada died on Wednesday, March 28, 2018 at Fairhaven Community, Upper Sandusky. She was born Helen Marie Bils in what is now the Killdeer Plains area of Marion County, on November 18, 1922 to the late Henry Omar Bils and Maria Louise Triphonia (Lippens) Bils. Her husband, Wayne E. Swartz, preceded her in death. She is survived by her brother, Robert Bils of Upper Sandusky; sister, Marialyce (Bils) Haferd of Galion, and 26 devoted nieces and nephews, of whom she was very fond, along with their children. These include the surviving children of her late brothers George, Albert and Joseph Bils. She also was preceded in death by two infant sisters. In decades past, she generously opened her home in the summer months to the children of her brothers and sister, usually entertaining two to four nieces or nephews for a week at a time, with many activities on the dairy farm that the Swartzes then operated. Her involvement with the lives of her younger relatives has continued to the present day. A member of Transfiguration of the Lord Catholic Church (former St. Peter's Catholic Church), Upper Sandusky, for all of her life, she was active in the Catholic Ladies of Columbia and, in later years, the Prayer Circle. Having begun school in a two-room schoolhouse at Little Sandusky, she later studied at the school in Harpster, and graduated from Upper Sandusky High School in 1940. She went on to a career as secretary and bookkeeper at the Wyandot County Cooperative Extension Service, Freezer Queen of Wyandot, Ohio; and Ruttman Construction Company, and Mar-Metal Manufacturing, both of Upper Sandusky. She also served as secretary for the Wyandot County Fair Board for many years, and volunteered as a 4-H leader. Having an artistic bent and an eye for color and design, she was an expert seamstress, and also made treasured gifts by knitting and crocheting. She loved beautiful clothes and jewelry, and the display of flowers in the gardens she kept. From her kitchen, her perfect cheesecake was legendary among young and old. 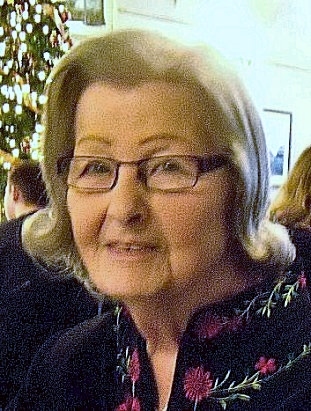 She enjoyed playing cards, and was a member of a local women's card club for over 40 years. Her friends appreciated her loyalty and light-hearted humor in good times and bad. A Mass of Christian Burial will be held 11:00am Tuesday, April 3 in the Transfiguration of the Lord Catholic Church with Father Antony Varghese Vattaparambil, OFM, Conv. and Deacon Kevin Wintersteller, officiating. Burial will be in St. Peter's Catholic Cemetery. Visitations will be held from 6:00pm to 8:00pm on Monday, April 2, 2018 at Lucas-Batton Funeral Home in Upper Sandusky, with a CLC Memorial Service to be held at 7:30pm and a Scripture Service at 7:45pm on Monday. Memorial contributions may be made St. Peter's School Endowment Fund, in care of Lucas-Batton, 476 S. Sandusky Ave. Upper Sandusky, Ohio, 43351.